The SPARs had a similar uniform to the WAVES, as shown in the photo above. Both were designed by couture designed Mainbocher. The key difference was in the lapel insignia. 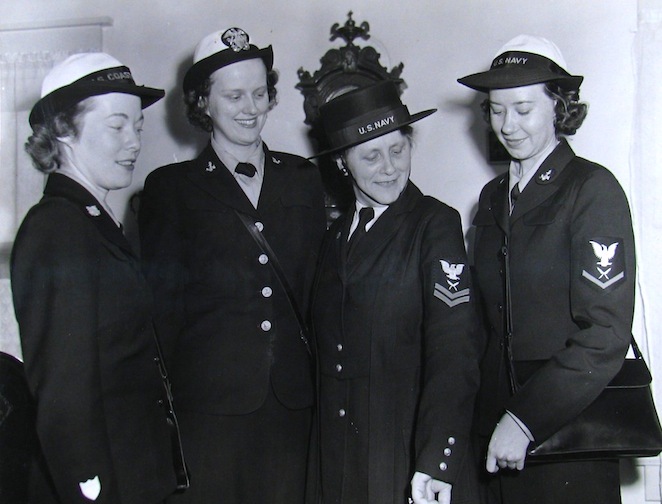 While the WAVES had the “fouled anchor” symbol of the Navy, the SPARs had a Coast Guard insignia on their collar. This National Archives photograph shows World War I Yeomanette Sadie Flay comparing her uniform with World War II era WAVES and SPARs during a recruiting tour in Arizona.